In life water is a very important element, human beings and animals cannot do without water. Even though 75% of the earth’s surface is covered with water, obtaining potable water for the increasing population is a great challenge. In the the water of the arid and semi-arid area very scarce enterprise resource which costs a lot and for the little that is obtained does not meet the necessary qualities. According to a report by UNICEF, approximately 1.1 billion people lack access to fresh water and approximately three million people die annually from water-related complications the majority of which are children and elderly people. Water quality refers to the physical and basic characteristics of water which determines its suitability for human consumption. The quality of water has great impacts on human health both in long-term and short term[ CITATION Tur14 \l 1033 ]. A research carried out by United Nations Environmental Program (UNEP) indicates that approximately a third of the world’s population resides in countries where the stress for water is moderate to high. Australia is one of the countries categorized by UNEP as chronically ‘water scares’ According to the categorizing criteria a country is referred to as chronologically ‘water scarce’. A country is categorized as water scarce if its annual water supply is less than 1000 cubic meters Australia’s per capital water supply is below 1000 meter cubic. the fast growing human population and the fact that Australia is located in the driest continent increases the pressure on fresh water[ CITATION Mic19 \l 1033 ]. The World Health Organization (WHO) water safety plan ensures water is both secure and safe. World Health Organizations and other 14 cooperating research institutions have approximated that 841000 diarrhea deaths in the middle and low income countries can be associated to poor sanitation, water and hygiene. This results to 1.5 percent of the overall and 58 percent of diarrheal diseases. Hence World Health Organization has developed Household water treatment and safe storage interventions which can result to great improvement in the quality of fresh water and therefor e reduce the rate of diarrhea related illness. With that it makes an instant difference to the human lives of those people who fully depend on water from the polluted lakes, rivers and in some situations unsafe piped water or wells[ CITATION Pra18 \l 1033 ]. The millennium Development Goals are the world’s quantified and time bound targets for addressing hunger, poverty, lack of adequate shelter, diseases and lack of portable water while promoting gender equality, environmental sustainability and education. The goals are also basic human rights- the rights of each person on the universe to education, shelter, health and security. The millennium Development Goals that have been replaced by SDGS after their expiry in 2015, these current global goals advocate for water related projects to achieve the goals. The current global goals are very clear regarding to the provision of clean as a basic human rights. The goals call for ensuring availability and the sustainable management of water there is hope that by 2030 all the global goals would have been achieved by undertaking various projects aimed at the global goals aims. The area of study is greatly characterized by inadequate safe, clean and sufficient water for consumption, hence need for exploring ways on how to obtain it. The existing water sources such as ground water and rain are nor reliable to meet the requirement of the growing population due to the development of a new university that will cater for roughly 20,000 students with that the population of Mudgee will reach 25,000 people by 2020 and it is expected to be growing at an annual rate of 5%.With that there is need to design a water supply system for this area based on the ground water and supplemented by rainwater harvesting which has the ability to cater for water demands for this area till 2070. The design of a water system can assist in providing clean, safe and adequate water to the residents and students and staff in Mudgee University. The current sources of water are not reliable and adequate to meet the demands of this population. Hence, looking for an affordable alternative water system will be of great importance to this population. It is the responsibility of the governments and world in general to ensure that are people are accessible to basic needs such as portable water[CITATION Temas \l 1033 ]. Mudgee is a town located in the central of New South Wales, Australia. The region is characterized with broad fertile Cudgegong river valley approximately 261km north west of Sydney. Mudgee has established itself as a wine producing zone and the manufacture of wine is the main economic activity of this region. The town also greatly depends on the various major mines in the neighborhood[ CITATION Car12 \l 1033 ]. The name Mudgee was derived from the term ‘Mooth’ which means ‘Nest in the hills’ in Wiradjuri. was declared as a municipality in 1860, making it the second oldest municipality west of the Great Dividing Range with a population of 1500 in 1861. The opening of the railway extension from Rylstone to Mudgee occurred on 10 September 1884. The main aim of this study is to design a water supply system for Mudgee based on groundwater, supplemented by rainwater harvesting that can cater the city till 2070 without any major upgrade. The specific objectives that are aid in achieving the main aim of the study include. 3. To estimate the Bill of quantities and the total cost of the design. 4. To design the pump, storage tank, transmission line, distribution tank and the possible location of water points. 5. To survey the study area to in order to determine the waylay for the transmission system. All sources of potable water originate from the rain, rain water is slightly acidic as a result of dissolution of carbon oxide in the atmosphere Also in the form of runoffs, the rainwater collects a great amount of mineral matters, microorganisms, soil particles and organic matter. The moment the surface runoffs infiltrates into the subsoil it forms groundwater[ CITATION Mal14 \l 1033 ]. Usually the ground water oozes out as springs. The perennial springs are the fountain of water such as lakes, rivers and streams. All water sources have a great impact on the water system design and which in turn affects the cost of water. Various sources of potable water require varying levels of treatment. Water supply has been a great challenge since the down of civilization. In areas where there is insufficient to meet the demands of its population people are vulnerable to dehydration and diseases and at the extreme end results to death[ CITATION The15 \l 1033 ]. They are categorized depending on the source of water. water collected from rain by use of various methods pf water harvesting is considered as a source of potable water in areas where the rainfall patterns allows harvesting. Rainwater is a stable source of portable water in semi-arid and arid regions where people reside in scattered settlements and there is no any other source of water. Water harvested from rainfall can serve well both household and the community level. It can also be used in combination with the supply from other sources the time where their supply is not predictable in nature. In households, the harvesting of rainwater is done by the roof as the major catchment while at the community level rainwater is harvested by the underground storage. Currently in various parts of the world, ground water is the most practicable source among the various sources. In this system the water can be extracted from the perennial springs such as rivers and streams or from the open wells as they produce potable water which is safe for human consumption. The ground water in the areas that contain limestone since he ground water can be contaminated by the intrusion of the run-offs. In this system there is a surface source of water which acts as the main supply. The quality of water from this source is good but the water requires treatment in order to remove harmful and turbidity microorganisms. There are many factors to be considered when selecting a source of potable water as discussed below. 1. Quantity, in that the available water at the source if sufficient to meet the demands of the current population and the future developments. 2. Quality, one has to establish whether the raw water in this source if it undergoes the necessary treatments will meet the whether qualities as specified in the water quality chapter. 3. Protection, is this water source protected from any form of human wastes such as the sewage, agricultural wastes and the industrial wastes. This is to ensure that the water from his source meets the required qualities for a long period of time without being affected by any form of wastes. 4. Feasibility, one has to consider whether the source available at considerable sources such as the capital and he operational and management Costs. How much resources are required to for the source to be utilized? Can the source be reliable to supply water by use of reliable and simple transmission and treatment technology? 5. During the selection of an appropriate source of water, sources which requires minimal system or no special treatment of water should be given the first priority. As a result of that ground water and springs should be exploited first in any water supply system. 6. Considering the study area, he most economical and method of obtaining the water from the ground, it is preferable since the underground natural purification process is known to have minimal chances of being polluted at any given point. 7. A water supply system is made of the following components i.e. he supplies line, pump, water distribution points and storage tank. A pump is a piece of very essential equipment in a water system. In any design of a water supply system pumps are known as machines or devices which gives energy to the fluids. Usually, there are two types of pumps. These include the reciprocating pumps that are used for temporary site drainage in the situations where the construction site has been filled with water from the ground or from heavy downpour. Reciprocating engines this is petroleum and gas pumps. The gear pumps in this kind of pumps there are two intermeshing gear wheels, that are usually used for he oils pump in reciprocating engines. Rotor pumps this kind of pumps are essentially a double helix stator having a single helix rotor inside it they are used for pumping of concrete, food, sewage and many other fluids. This type of pumps includes mixed flow, centrifugal and axial flow pumps. The centrifugal pumps are usually used for a high head, low flow situations. The centrifugal pumps have a wide application in industries as compared to any other type of pumps. That is attributed to the fact that they have a low initial and management costs. Initially this kind of pumps were limited to low pressure head applications, but in the current times their designs has greatly overcome that challenge unless in the situations where very high pressure is required. The single-stage, horizontal, overhung centrifugal pumps is by far the most type of pump used in water systems. The selection of any given pump depends on head and flow rate requirements and other process consideration such as the materials the pump is made up with, since some of the materials can be reacting to water and therefore polluting that given water to be pumped. Rotodynamic pumps makes applies the impact which occurs when the fluid passes through a rotating curved passage. In the case of the pumps, the energy is transferred from the passage to the fluid but that is not the case for the turbines since the energy is transferred from the fluid to the rotating curved passage. In the pumps the part which moves is usually referred to as a runner. It’s made up of two concentric discs having a curved plate between them. Angular momentum is transferred from the runner rotating to the angular velocity Ω as the fluid flows over the curved blades. The symbols that are used in that analysis include. The figure below shows the curved passage of a turbine or pump. Fig: curved passage of a turbine or pump. Whereby the is the radial element f the absolute velocity vector radius r.
The angular momentum can be written as for the case of uniform velocity , angukar momentum per unit is and at the exit, its given as Thus an increase in the angular momentum of water is which is equivalent to the torque on the water by the runer . The equation is valid regardless of the path taken by the fluid particles. With the above equations the power consumption of any given pump can be known to govern the operating costs and the size of the pump. This process involves a mixture site engineering, economics and hydraulics.Considering the Darcy-welsbach expression for the head loss,it is clear indicated that with a small increase in the size of the diameter wil cause a great reduction in the head loss and hence a rweduction in the size of the pump, with the reduction in the size of the pump both the running and change management cost of he pump may increase and also the construction ciosts and capital of the pipeline will also increase[ CITATION Nat16 \l 1033 ]. The design of the pump was carried out by first obtaining the appropriate depth of the borehole, pipe parameters, flow rates among other hydraulics. There was a lot of consideration of economics and site engineering during the design process of the pump. An online survey of various pump manufacturers was carries out to determine the best pump to fit the project. The data regarding to the selected pump was obtained from Davis shirtlift website. The entire process of cost estimation was carried out takeoff process and merging the quantities with the current market price of the equipment materials that were used in the project. The design and location of the distribution points was carried out in regards to the demand of water per hour since the supply was not meeting the requirements. The equation below was used to determine the discharge at all the distribution points. The structure of the distribution points was designed with the Australian codes of Structural design which are widely used in Australia. Since there was no imposed load on the distribution structure there was minimum reinforcement required[ CITATION Gar15 \l 1033 ]. The design of the storage tank was to depend on the availability of the required resources, demand for water and the general supply of water. The size of the tank was also depending on the continuous growth of the Mudgee population as the project was aiming to design a water system which was not to undergo any form of modification till 2070. The choosing of the pipes was depending on the hydraulic performances, durability, time, strength, water leakage, availability of skilled labor. Various programs were used to determine the pipe parameters. The selected pipes were according to the Australian standards in order to ensure safety, the manufacture, welding, testing of pressure and welding were to meet the Quality standards. The groundwater in the silt and gravel aquifers was found in the pore spaces between the particles, but in the consolidated aquifers the groundwater was found in the fractures within the solid rocks. The amount of ground water in a given type of rocks greatly depends on the porosity of the rock, which is depends on the volume of the pore spaces between the grains of the sediments of the fractures on the rocks[ CITATION Hol16 \l 1033 ]. The coarse-grained sediments such as gravel and sand have a higher porosity as compared to the small-grained sediments like clay and the slit since the pore spaces are closely connected, the coarse grained materials such as sand are highly permeable because their space leaves behind large connected spaces which allow water to pass through. Very crucial water quality parameters for the Mudgee university and Mudgee locality are the fluoride and iron concentration and electrical conductivity. The allowed levels 1ppm,1.5ppm and 750 micro-S/cm. The combined drinking water risk taking into account the above mentioned parameters for Mudgee is generally considered moderate. And therefore the ground water supply for this area is generally good. Nevertheless, the risk analysis is not the same in time and space thus there is potential of infringing into the national set standards on the local scale that might be allowed. This is so far the fluoride levels. The potable water is likely to be moderately but within the World health organization standards. After the drilling of ground water, water quality testing is thus a must to determine the levels of the above mentioned parameters and take the appropriate actions. It might be necessary to conduct a corrective measure on all the potable water. The current human population is approximately 10,000 and due to the development of a new university in the are the population is expected to grow to 25,000 by 2020 and grow at a constant rate of 5% annually. This is when it is assumed that the total population of Mudgee will be 25,00 by 2020 and grow at a constant rate of 5% annually[ CITATION Ced13 \l 1033 ]. The design of the water system will be based on the final design period, for the daily water demands the following equation was used. Qd is the total water demand for Mudgee area and Dp is the individual water demands per day and Cp is the number of total population of Mudgee area. The cost of the project was estimated by use of the take-off methods of estimating the costs of project. Below is the estimated cost[ CITATION Tem15 \l 1033 ]. 1. The implementation and construction of the project should be carried out in stages starting with the areas which are a highly populated area. 2. The authorities in Mudgee should charge appropriate levies for the system maintenance. 3. To cater for the cost of electricity a solar system should be designed and implemented into the system in order to reduce the dependence on electricity which is quite expensive. 4. Due to the fast growing population of Mudgee the government should come up with ways of utilizing other sources of water to ensure that there is sufficient supply of portable water for all the population of Mudgee at all times. In conclusion, Mudgee is a town located in the central of New South Wales, Australia. The region is characterized with broad fertile Cudgegong river valley approximately 261km north-west of Sydney. Due to the establishment of a new university in the area and the fast-growing population, there is need to design a water supply system for Mudgee based on groundwater, supplemented by rainwater harvesting that can cater the city till 2070 without any major upgrade. The project was successful since majority of its aims and objectives were achieved for instance we were able to estimate the population of the area and the water demands till 2070.It was also possible to investigate and analyses the potential of harnessing ground water in the area both the Quantity and quality of portable water was analyzed. Even though the project succeeded in a wide exte3nt there are challenges that were encountered for instance the availability of the topographical survey map were very difficult to be accessed. There has been no underground water manage quality monitoring in the area making it difficult to evaluate the quality change over time. 1. Brandt, M. J. (2014). Water Supply Systems Security. Chicago: McGraw Hill Professional, Hsi, T. p. (2014). Design for a Water Supply System for Duxbury, Mass. Chicago: Massachusetts Institute of Technology, Department of Civil Engineering, . 2. Johnson, M. (2019). Water Supply. London: Butterworth-Heinemann,. 3. Jones, G. M. (2015). Pumping Station Design: Revised 3rd Edition. Auckland: Butterworth-Heinemann. 4. Maksimovic, C. (2013). Water Supply Systems: New Technologies. London: Springer Science & Business Media. 5. Mays, L. W. (2017). Water distribution systems handbook. Chicago: McGraw-Hill. 6. Mekuriaw, T. (2015). Water Supply Distribution System Design: In Holeta Town Wolmera Woreda West . London: GRIN Verlag. 7. National Research Council, D. o. (2016). Drinking Water Distribution Systems: Assessing and Reducing Risks. Texas: National Academies Press. 8. Shaw, C. L. (2012). The Design of a Water Supply System for Park Ridge,. Berlin: Fb&c Limited. 9. Shorney-Darby, H. (2016). Design-build for Water and Wastewater Projects. Chicago: American Water Works Association. 10. Swamee, P. K. (2018). Design of Water Supply Pipe Networks. Berlin: John Wiley & Sons, . 11. Temesgen Mekuriaw. (2016). Water Supply Distribution System Design:. Texas: GRIN Verlag,. 12. 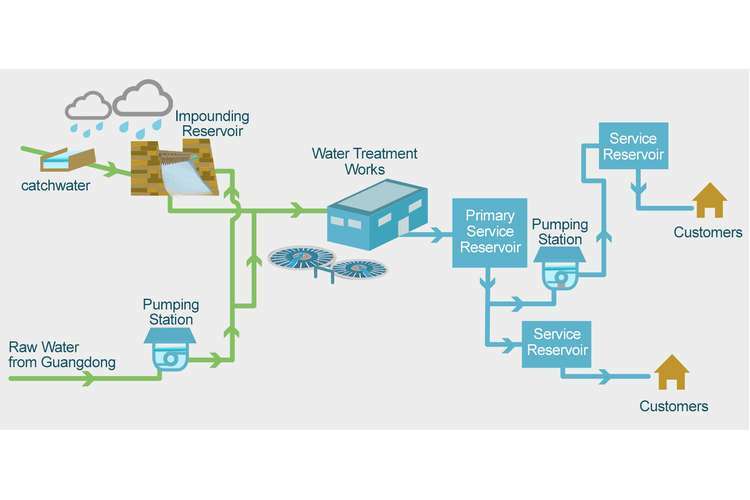 The Design of Water Supply Systems Based on Desalination: Selection of Plant Sezes and Associated Storage Facilities to Meet Variations in Demand and Plant Outages. (2015). London: Massachusetts Institute of Technology, Department of Civil Engineering.